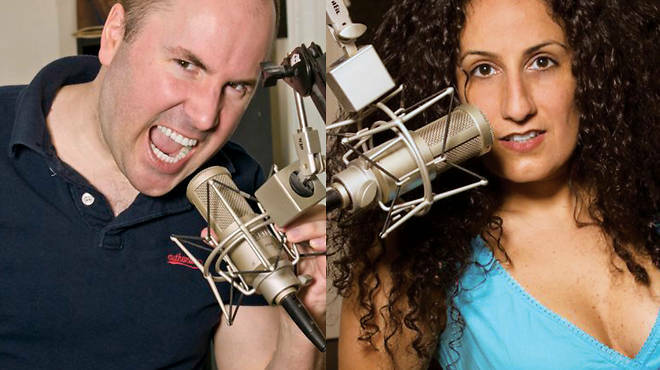 In March 2005, Keith Malley and Chemda Khalili began recording a podcast from their spare bedroom in Queens, as audiences were just catching on to the medium; digital downloads of the chat show were free, and meant as a promotional tool for the duo’s comedic and musical exploits. Nearly nine years later, Keith and the Girl has grown up, and the podcasting industry with it. Now it seems everyone has a program—if not a network—as podcasting visbly augments careers (see Pete Holmes’s You Made It Weird), energizes them (Marc Maron’s WTF) or, in the case of KATG, becomes a business of its own. This month, two events demonstrate how far podcasting has come. Seeing both a hole in the market and a way to help eager but hesitant young podcasters, early adopters Malley and Khalili—whom Maron credits as his inspiration in this arena—are sharing hard-won lessons via a how-to digital kit titled the Ultimate Podcasting Guide. The eBook, videos and tutorials are geared to help out fledgling show producers learn the ropes, from picking a name to choosing equipment. And during the second annual NYC PodFest, Malley and Khalili show off their honed conversation skills, recording an episode of KATG. The festival, a weekend of live shows by top podcasters, encapsulates both the democratic nature of the medium and its rise, as everyone from the salesmen of AMC’s Comic Book Men to comedy celebs such as Lewis Black sits at a mike. Ultimate Podcasting Guide ($29–$199, ultimatepodcastingguide.com) is available now. NYC PodFest takes place at Fontana’s Sat 11 and Sun 12. Penn and Teller are back in town!